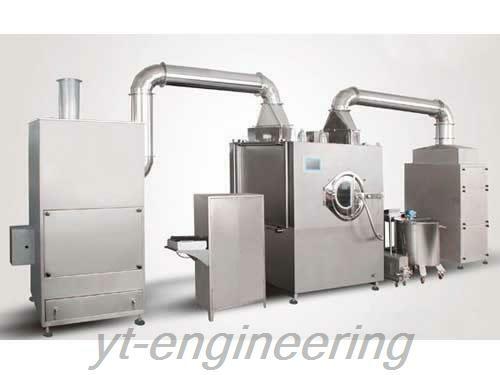 Coating is usually a post-processing procedure and also an effective way to develop new product applications. After being coated, products improve significantly in their performance. For example, the coated particles are able to achieve metering, mixing, bonding and curing successfully, reduce solvent hazards, shorten the construction period, expand range of applications and increase productivity. For another example, after coating the pharmaceutical products are not only lucifugal and moisture-proof, but also has long period of validity. 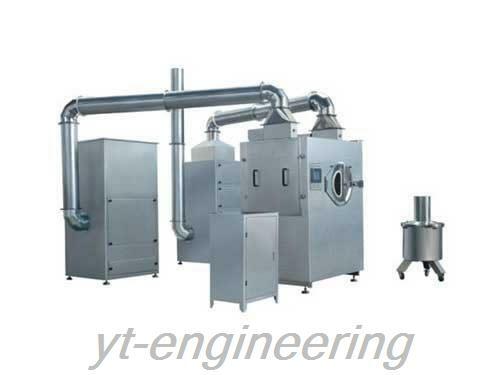 In addition, coating process is widely used in food, fine chemicals, metal protection, inorganic salt modification and papermaking fields. 1.Coated products are lucifugal and moisture-proof so as to improve the stability of medicines. 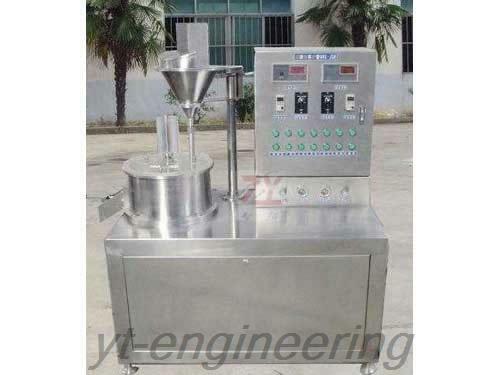 2.Coating machine has the advantage of covering the discomforting smell of medicines. 3.The coating colors are various so that the identification ability of medicine and medication security can be improved. 4.The coated products are polished in surface so they are characteristic of good fluidity and elegant appearance. 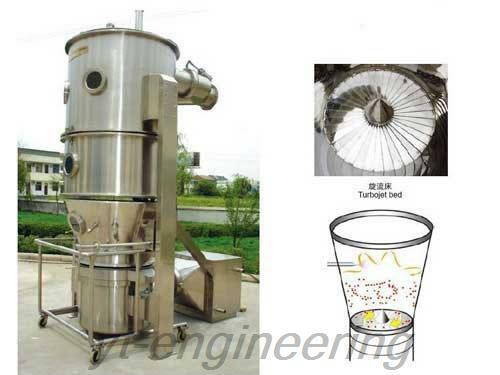 Generally speaking, coating process can be divided into three stages: bottoming, main coating and shaping. 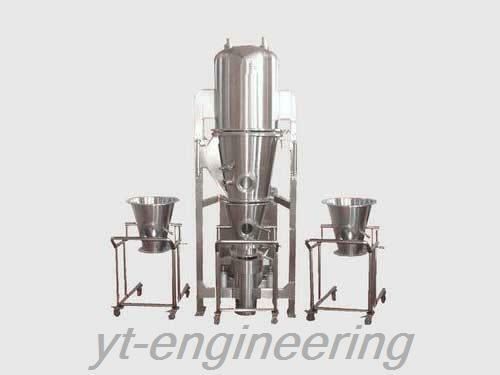 First, bottoming process should better be conducted with small flow of coating liquid and low temperature of fluidized air. 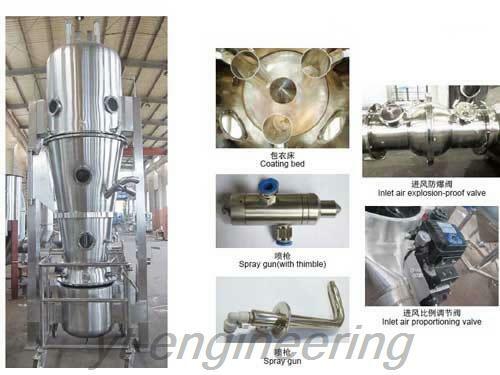 Second, in the main coating process of coating machine, coating liquid flow can be appropriately increased to shorten the coating time and make coating in the uniform size. At the same time, air temperature should also be correspondingly increased to avoid the flow liquid from spilling. 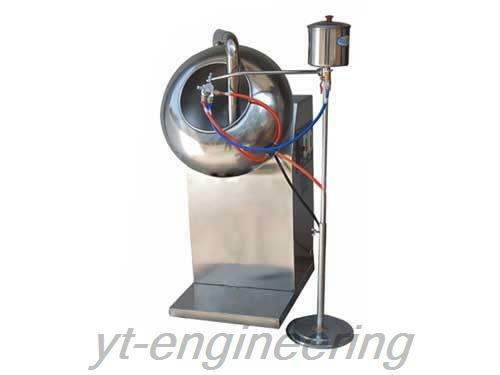 In the last shaping stage, coating liquid and inlet air temperature should be lowered.